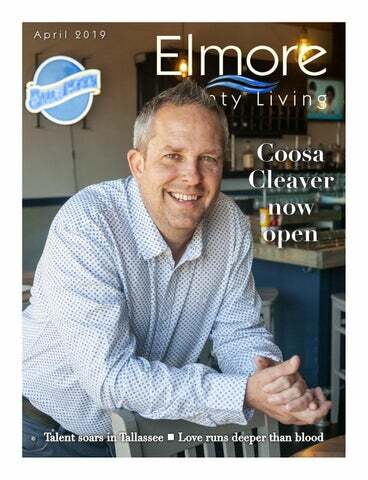 When I first heard that Coosa Cleaver was opening in Wetumpka, I was eager to see the menu, the ambiance – the entire style of the restaurant. For those of you who may not know, I have a culinary degree,as well as a Bachelor's in journalism. I am always intrigued when a new establishment opens. Sitting down with Ryan Friday, co-owner of Coosa Cleaver, and his wife, Danyalle, I could relate to the 16-hour days with which they have become accustomed. They jokingly asked if I wanted to re-enter that world and for a moment, fond memories flooded my mind of the adrenaline, food, fire and fierceness of a kitchen. Alas, I also reminded myself why I switched back to my first love – writing. The bulk of our conversation turned to the renovations and re-build, along with the saga of Little Sam’s Café. That restaurant was a staple in the Wetumpka community and much of Coosa Cleaver’s décor pays homage to that. The majority of the flooring, wood and brick are original to the building or were incorporated. On page 8, read about the community love that’s evident in both the owners and location. Not to mention, the chef-inspired counter service menu will make your mouth water. While culinary work could be considered art for some, Tallassee students are leaving no question as to their gifted artistry. The music department in the Tallassee City Schools has a long history of excellence, and on page 16, we delve into the leadership behind that talent. From awardwinning choral groups to a superior-rated marching band and layers of fine art offerings, Tallassee has an all-encompassing music department. Talent doesn’t stop in Tallassee. Students throughout Elmore County are recognized for their artwork at the annual Sparking the Arts reception in Wetumpka. The Elmore County Art Guild hosts this event to increase awareness of the arts for the youth. Read about the program on page 26. Speaking of youth, three local foster families share the joy, obstacles and heart-warming tales of their involvement with the Elmore County Department of Human Resources on page 22. DHR hosts classes twice a year for those interested in becoming foster parents. Read about the experiences of these families who went through the program – it might inspire you to consider this role in the future. This spring already seems to be jam-packed with events. Turn to page 40 to review the list of activities slated for the coming month. For adventure seekers or just lovers of food, like me, I recommend the AWF Wild Game Cook off in Millbrook. I was honored to be one of the judges last year, and although skeptical of what I would encounter, it was definitely worth it. While Alabama has some food items that were new to me, there is no doubt that culinary talent abounds. The best places are the locally owned that create dishes you can’t find elsewhere – or those that seem familiar but have their own twist. Grab a meal at the Coosa Cleaver any day of the week, and try the grilled-cheese burger, fried green tomato BLT or lobster mac and cheese. Is your mouth watering yet? Shoe drive helps needy countries The Eclectic Public Library is hosting its annual shoe drive to raise funds to maintain the library and its programs. All kinds of shoes are accepted, but they must be in pairs. The shoes will be cleaned, repaired and recycled for developing nations through the help of a nonprofit organization. The goal is to collect 2,500 pairs. Drop-off locations include Eclectic Public Library, Eclectic UMC, First Baptist Church of Eclectic, First Community Bank Eclectic, Eclectic Municipal Building, Rushenville Baptist Church, Santuck Baptist Church, Central Baptist Church, Frazer UMC and Eclectic Senior Center. At a recent competition of community theater organizations from across the Southeast, 15 actors and cast members representing the Wetumpka Depot Players won and also got their tickets punched to go to the American Association of Community Theaters’ AACTFest19 to compete against others from around the country. The Wetumpka Depot Players took top honors at the Southeastern Theater Conference in Knoxville, Tennessee, with its production of Jim Leonard’s play The Diviners. The prestigious national festival features 12 companies from across the U.S. and will be hosted by the American Association of Community Theaters in Gettysburg, Pennsylvania, in June. suffered during the Jan. 19 tornado, said Purcell. Believing it will essentially be a full-time job to complete repairs to his home helped lead him to make the decision to step down. Prior to moving to Wetumpka, Purcell ran a successful national consulting practice from Atlanta and was heavily involved in startups in recent years. 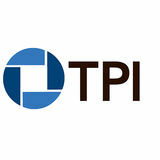 In his three-year tenure, Purcell said the chamber added nearly 150 new members, held more than 50 ribbon cuttings – including for the chamber’s Innovation Center – reached a $200,000 budget for the first time, tripled the chamber’s presence on social media and improved revenue from events by more than 30 percent. the American Cancer Association to Wood at 1271 Jackson Trace Rd., Titus, AL 36080.
to expand, Friday said, they assumed it would be in a larger metropolitan area. “A friend set up a meeting with DRA who had recently purchased this building, so as a courtesy, we took it,” said Friday. “Four meetings later, we were signing the paperwork.” Other projects competed for the building’s use, but Coosa Cleaver ultimately won. increased downtown traffic all around, said Friday,who spoke with other business owners. As the initial project by DRA, Coosa Cleaver hopefully will kick-start redevelopment. DRA collaborates with Main Street Wetumpka, the City of Wetumpka and the Wetumpka Chamber of Commerce to inspire local growth. “We really want to do the best we can, and if this project works well, DRA can continue to grow downtown and bring in more businesses,” said Friday. Coosa Cleaver is open seven days a week from 11 a.m. to 9 p.m. and stays open until 10 p.m. Fridays and Saturdays. They’ve started a Trivia Night every Tuesday and plan to host monthly special events. “We are here for the long term. We want the community to know that,” said Danyalle. Coosa Cleaver is located at 106 Company St. and can be reached at 334-7311190. For information, visit its Facebook page or CoosaCleaver.com. viving founding members of the band, along with ones that joined later. Additional resources came from other business managers, recording engineers, fans, roadies and members of notable bands – such as 38 Special, Kansas, The Charlie Daniels Band and The Kentucky Headhunters. “There are musicians, and there are rock stars. The membership of the Atlanta Rhythm Section has always consisted – and still consists – of musicians,” said Moseley. ARS will celebrate its 50th anniversary in 2020 and has had hit songs, gold and platinum albums and performed at both mega-concerts and overseas. Hit songs include So Into You, Champagne Jam, Doraville, Spooky, Imaginary Lover and many others. The ensemble is still active, with founding members Dean Daughtry on keyboard and Rodney Justo on vocals. One of the guitarists, Steve Stone, has been with the band for more than 32 years. “The band didn’t put on much of a show, but their sonic presentation was precise, yet soulful,” said Moseley. The producer/manager/co-songwriter Buddy Buie was from Dothan, and he also managed K-Otics. This ’60s band featured three members that were from Tallassee in Elmore County, including singer Tommy Mann, bassist Ray Goss and drummer Kim Venable. Mann and Goss still live in the area. The unique history of the Southern rock band ARS embraces the frontline studio band that wrote and recorded its own songs and toured to support its music. “No other band at the time had ever taken that approach, anywhere,” Moseley added. In March, Moseley joined Kentucky Headhunter guitarist Greg Martin on his Lowdown Hoedown radio show in Bowling Green, Kentucky, to discuss the ARS book and play some lesser-heard, rare versions of the band’s songs. Martin contributed some recollections of his own to the biography. Originally from Montgomery, Moseley has lived in Tallassee since 1994 and has written for Vintage Guitar for 13 years, along with writing for The Tallassee Tribune since 1996. He still contributes to both publications. Vintage Guitar is the oldest, largest and most widely read periodical of its kind in the world with readers in all 50 states and 31 countries. During his tenure, Moseley has conducted approximately 1,000 interviews and was even kicked out of one rock concert. “I used to play in bands myself, but writing about guitars has taken me further than playing them ever would have. These days I’d rather ‘play’ a word processor keyboard,” he added. Moving on to his 14th novel, Moseley is highly knowledgeable about music, guitars and the industry. The WETUMPKA DEPOT PLAYERS are heading to finals at AACT Fest ‘19 in June! All proceeds will help with travel expenses to Nationals. Please support your local theatre and help the Depot shine in the national spotlight! “Our Family Caring for Yours” “For long-term care or short-term rehab, Tallassee Health and Rehabilitation, LLC is a 5-star facility dedicated to providing the best care right here at home.” CALL SUNNY TO DISCUSS YOUR NEEDS TODAY! No representation is made that the quality of the legal services to be performed is greater than the quality of legal service performed by other lawyers. bout a decade ago, the Elmore County Art Guild created Sparking the Arts, a program for students in Elmore County to be recognized for their artwork and originality. With limited opportunites for fine arts in the school system, the nonprofit art organization hoped to bring awareness to that field. “When we started this, we decided it would be a good way to get Elmore County art students involved. Over the years, more and more schools are incorporating art programs and participating,” said Shirley Esco, chair for the program. This year’s reception will be held May 18 from 2 p.m. to 4 p.m. at the Wetumpka High School Atrium. Chosen artwork will be exhibited for community members to admire. First-, second- and third-place winners within different grade levels also will be recognized. Artwork is judged in three categories: kindergarten through fifth grade; sixth through eighth grade; and ninth through 12th. At each level, about 10 pieces from the students’ nominated artworks are selected for the program reception. “Students choose to put their pieces into the running, and when one is chosen, we leave an invitation to the reception,” said Esco. Volunteers travel to the qualifying Elmore County schools – both public and private, at all grade levels – collecting the artwork. All forms of media are considered – including but not limited – to painting, photography and sculpture. A juror within the ECAG designates first, second and third places for each category of students. First-place winners receive $100 scholarships. When the guild began giving scholarships in 1993, the focus was on students who needed assistance with supplies or art lessons. The program then grew into what it is today with the contest and reception. “That’s kind of why we got this all started. There used to be not much art within the school systems at all,” said Esco. Teachers and art instructors now are familiar with the program and always anticipate the annual Sparking the Arts, she said. “When I contact them, they’re always glad to be back in touch about the show,” said Esco. “And I think since the beginning, the students have been really excited to have their artwork recognized. There are just not many art competitions for youth.” For more information, contact Esco at shirleyesco1945@gmail.com. Primitive & Antique Furniture, Tools & Collectibles. Easter, Graduation, Mother’s Day, birthday! take anything in place of the process. “No amount of money would ever be worth giving them up,” Matthews said. “When we adopted them, I just could not stop myself from crying. My heart would melt as they called each name.” Foster parents must undergo a 12-week class to be certified in the system. “Classes involve self-reflection and the assessment of your strengths and needs to determine your ability to serve with DHR,” said Tylicki. The first 10 classes are designed to help families develop the skills needed to be successful foster/adoptive parents. The final two provide CPR and first-aid training, along with water safety certification. To be qualified, potential foster parents must be at least 19 years old, and single parents are definitely accepted. If married, couples must be married for at least one year to foster or three years if they want to adopt only. A stable environment with a home inspection, medical clearance, criminal background check, financial stability and adequate space are also necessary requirements. “The kids almost always arrive scared and with nothing but what they have on them,” said Blecher. “There is the stereotypical honeymoon phase, which seems great and easy, but all situations come with challenges.” The Matthews have been asked in the past to be on the panel at the end of foster care classes. It provides new foster parents the opportunity to ask questions and hear firsthand experiences of people who have been through the process. Elmore County DHR Service Supervisor Carter Taunton encourages people to come to a class and check it out. “You can never really explain in its entirety until you see it for yourself. If it is something you think isn’t a fit for your family, you can decide that after attending a class,” said Taunton. Primitives to antiques Jewelry to tools and furniture, too! belyn.r@gmail.com Each oﬀice is independently owned and operated. spring lineup Biographies and thrillers among seasonal showings WELCOME TO SPRING! MOVIE MAN Dr. Jeff Langham is State Assistant Superintendent for External and Governmental Affairs and a lifelong lover of film. Before we delve into spring at the movies, let’s do a quick recap of the first quarter of 2019, the winter months at the multiplex. This period ushered in several box office hits including The Upside; Glass; The Lego Movie 2: The Second Part; Alita: Battle Angel; and How to Train Your Dragon: The Hidden World. The first weeks of April have featured two films of interest. Shazam! is yet another superhero extravaganza, this time chronicling the adventures of teenager Billy Batson (Asher Angel) who can transform into an adult superhero, played by Zachary Levi, via the magic word, “shazam.” Pet Sematary, a chilling remake of the 1989 film based on horror meister Stephen King’s creepy novel of the same name, has garnered strong reviews and interest at the box office. Now, as summer is quickly approaching, moviegoers need to spring into action and catch a few of these upcoming releases during April and May. April 19th The Curse of La Llorona (also known as The Curse of the Weeping Woman) – Linda Cardellini (Green Book) stars in this supernatural thriller from producer James Wan, the mastermind behind the gory Saw series. Set in the 1970s, this chilling story revolves around a widowed social worker that combines forces with a disillusioned priest to fight La Llorona, a female ghost from Latin American folklore, who arrives to wreak havoc (and terrify moviegoers). an extra dose of suspension of disbelief. Rogen portrays a hapless, unemployed journalist who courts his childhood love interest and former babysitter (Theron), who now just happens to be the nation’s secretary of state. May 10th Tolkien – Nicholas Hoult (The Favourite) and Lily Collins (Mirror, Mirror) star in this powerful biography about the English professor, philologist and author J. R. R. Tolkien, author of The Hobbit, The Lord of the Rings and The Silmarillion. The Hustle – If you enjoyed 1988’s hilarious Dirty Rotten Scoundrels with Steve Martin and Michael Caine, get ready for this female-centered remake of Scoundrels starring Rebel Wilson and Anne Hathaway. Just the premise sounds like comic heaven, and the raucous Rebel Wilson (Pitch Perfect) never disappoints in garnering laughs with her on-screen antics. John Wick: Chapter 3 – Parabellum stars the inscrutable Keanu Reeves as the title character in the third installment of the John Wick film series, following John Wick (2014) and John Wick: Chapter 2 (2017). It also stars Oscarwinner Halle Berry and Laurence Fishburne and promises action and carnage galore. A Dog’s Journey – Dog lovers, get out the hankies for this film based on W. Bruce Cameron’s 2012 novel of the same name. The film stars Josh Gad, Dennis Quaid and Marg Helgenberger and hopes to enjoy the same box office popularity as the similarly themed 2017 heart-tugger, A Dog’s Purpose (also from the pen of author Cameron). ror film and asks the question, “What if a Superman-like hero came to earth to be the “end of days” instead of “saving the day?” Yikes! Elizabeth Banks and David Denman star in what may end up as the one of the spring’s most talked about films. Ad Astra is a science-fiction dazzler with a galaxy of talent including Brad Pitt, Tommy Lee Jones, Ruth Negga and Donald Sutherland. For fans of Interstellar, this sounds like it may be the ticket! BACK IN THE DAY Sharon Fox is the curator at the Elmore County Museum in Wetumpka. stantly obliged to draw up our limbs on the seat, for the water was at least eight inches deep in the bottom of the carriage and went splashing about in the most extraordinary manner. I cast a look now and then at my companion who looked woebe-gone, and was constantly exclaiming, ‘Mais quel pays! A-t-on jamais vu de pareils Chemins?’” This meant, “What a country! Have we ever seen such paths?” The Federal Road was upgraded in 1805 when the Creek Indians gave the U. S. government permission to cross their lands. The road was widened, and bridges and ferries were added to include tolls given to the Creeks as compensation. The improvements made it a more efficient way for settlers, mail coaches, the military, merchants, travelers and troupes of entertainers to make their journeys to the South. One such entertainer was future circus entrepreneur, Phineas Taylor Barnum, otherwise known as P. T. Barnum. When Barnum was younger, he was known for his variety troupe, Barnum’s Grand Scientific and Musical Theater. The most famous performers of that show were Gen. Tom Thumb and the Feejee Mermaid. Barnum brought his traveling exhibits to Montgomery in 1837 by way of the Federal Road. The road, during the time Barnum traveled it, had become quite dangerous for new reasons. A week before his crossing, a mail coach had been attacked, the passengers were killed and the coach was burned. The driver, left for dead, survived to tell the story. Barnum described the trip in his autobiography The Autobiography of P. T. Barnum. He wrote, “None of us felt ashamed to acknowledge that we dreaded to incur the risk, except Vivalla. He was probably the greatest coward among us, but like most of that class, he swaggered and strutted about, laughing at us for our fears.” Barnum and his troupe later played a nasty trick on Vivalla, who was a juggler with the troupe, which resulted in his change of attitude. For more information about the Old Federal Road, be sure to attend Mystery and Mayhem on the Old Federal Road with Raven Christopher on Oct. 20 at the Elmore County Museum. We’ll help show you the way to financial security. No map necessary. THE GAMER Video games journalist Jacob Saylor has covered the massive Electronic Entertainment Expo (E3) in Los Angeles. Follow Jacob on Twitter @skulldrey. depth to main character a soul-crushing blow to the way a player interacts with the game world. Once the reality of his situation settles in, the importance of sitting down for a game or two of blackjack – or any of the aforementioned activities – becomes far less present. The truth of the matter is that in 1899, the disease is a fatal one. Morgan is dying, and as the game’s main character, players must choose a path forward with the little time he’s got left. This is something of a trope in all sorts of different media, but developer Rockstar Games manages to put an effective spin on the old formula; we are talking about Westerns here. What Morgan loses in time, he gains in perspective. Just before the game’s final acts begin, the normally stoic character admits to a confidant that he is, in fact, scared. It’s one of the game’s most emotionally diverse moments and drives home the notion that Morgan is a seriously multilayered character. This isn’t just a big moment for him, though; it’s also an important point of inflection for the player. Red Dead 2 offers gamers multiple chances to affect how the game’s story plays out. Will a player choose to continue being a force for bad? Or will he upend a life of crime to try and do as much good as fast as possible? As the game winds down, so too does the story of Arthur Morgan. While we won’t venture much further into spoiler territory for those who may not have had a chance to play it yet, know that it’s a truly special spectacle. There’s a realism in Red Dead 2 that’s unmatched by any other piece of Western-centric media before it. This aspect of the game really shines through as the gun smoke, punches and sunsets begin to take center stage near story’s end. In this way, the game becomes much more similar to the Westerns we’ve loved and lost. But with the depth of Morgan’s character, a host of equally fleshed-out compatriots and a game world that’s brimming with nuance, I’m doubtful we’ll ever see a more fitting ode to the Old West. DOLLARS & SENSE Marty Edge is a financial advisor with First Financial Services, an affiliate of First Community Bank of Central Alabama. caused mainly by subprime lending issues and the credit crisis). For these reasons, long-term investing is very important. As mentioned previously, the year 2008 was comparable to being at 6 o’clock. It was a terrible time in our country, and one of the worst economic periods in modern history. As the years moved forward, we progressed out of that time and began to recover. For nearly 10 years, we have watched the hands of the clock move toward 12 on a steady climb. We have experienced good economic and market growth throughout the past decade. Unfortunately, sooner or later the hands will begin to slowly move past 12. We will eventually see a return to the bottom of the cycle and experience a recession. No one really knows when it will occur, how long it will last or how bad it will be. The only thing we are certain of is that it will happen at some point. Fortunately, no recession has ever been permanent. Time will continue to move forward, and our economy will eventually begin to move back toward 12. The clock never stops moving and neither does the market; that’s the cyclical nature of our economy. Approaching investing with a long-term outlook is always the best way to achieve your goals. If you maintain that perspective, the time on the economic clock will not matter in the long run. Vaccinations prevent outbreak of transmittable diseases In the news lately, there are reports of vaccine-preventable diseases making a comeback in the U.S. For example, between Jan. 1 and March 21, 2019, the Centers for Disease Control and Prevention confirmed 314 cases of measles in 15 states. Measles outbreaks are generally attributed to travelers who have measles and bring it back to the U.S. Measles then spread further in U.S. communities through pockets of unvaccinated people. This same scenario could apply to any number of communicable diseases, which have been almost eradicated through a very successful vaccination program in the United States. Many countries in the world do not have the benefit of vaccination programs to prevent these diseases, so the diseases are still around to be transmitted to those who are unvaccinated. An alarming number of parents in the United States are choosing not to vaccinate their children – some for religious reasons, some for mistrust of the vaccine itself, along with several other reasons. While their concerns are well intended, the choice not to vaccinate leaves a child susceptible to infectious diseases and also allows that child to pass along these diseases to others who are susceptible. Individuals who have a weakened immune system and those who are too young to be fully vaccinated are examples of those who are at risk. Some parents feel that these “childhood diseases” are not all that serious; however, in some cases, these infectious childhood diseases can have severe outcomes. The CDC reports that about one in 15 children with measles will develop pneumonia, and one in 1,000 will develop brain inflammation. One in 5,000 children with mumps will develop brain inflammation. Mumps can cause infertility or permanent deafness. Chicken pox can lead to severe infections of the skin, swelling of the brain and pneumonia. Children die each year due to complications from influenza. Even with none of the severe complications, these infectious childhood diseases cause a child to be sick and miserable. Why expose a child to these risks? Before vaccines are approved and given to children, they are tested extensively and carefully evaluated. Because of advances in medical science, it is possible to safely provide protection from more diseases than ever before. Parents want what is best for their children. They recognize the importance of car seats, safety locks, baby gates and any number of other ways to help keep their children safe. One of the very best ways to help protect children is to make sure they are up to date on all vaccines. Contact a healthcare provider to discuss a child’s vaccination schedule. While doing so, parents should ensure they also are up to date. COMMUNITY CARE Kathy Monroe works with Community Hospital Tallassee. The Tallassee Chamber of Commerce will host a golf tournament at Wynlakes Country Club. Registration will be at 11 a.m., and tee time is 12:30 p.m. There will be prizes for the first, second and third place teams, along with door prizes; closest to the pin; and longest drive. Lunch and snacks will be provided. To sign up or for information, call 334-283-5151 or email chamber@tallasseechamber.com. The VFW Post 5035 in Tallassee will host is third annual crawfish boil and will start serving food at noon. Crawfish plates with the fixings and a bottle of water will be $15, and shrimp plates will be $20. There will be T-shirts for sale for $15. The VFW is located at 313 Riverside Dr. For more information, contact 334-283-6636. April 18 Bingo Night Kent Community Center will host bingo night for $8, which includes eight cards. All money raised will go toward the building fund. For more information, contact Pat Colvard at 334-558-7155. April 20 Millbrook’s Big Fish Bass Tournament Millbrook Area Chamber of Commerce will host its annual Big Fish Bass Tournament on Lake Jordan from 6 a.m. to 2 p.m. Opportunities available for hourly weigh-ins, and the top three big fish per hour will win $300, $200 and $100, respectively. The overall big fish of the day wins $1,000. The biggest fish for an angler under 16 years old wins $300. The weigh-in will take place at Bonner’s Landing off Bonner Point Road in Wetumpka. Registration is $60 per angler. To sign up or for information, visit millbrookareachamber.com. April 23 Art Under the Stars Wetumpka Elementary School will host its annual art show, themed Wetumpka Strong, Alabama Proud. Student artwork will be on display throughout the school. From 5 p.m. to 6:30 p.m., WES will celebrate Alabama’s bicentennial year by highlighting local and state artists. For information, contact Ethel Price at ethel.price@elmoreco.com. April 18 DAC Foundation: An Evening with the Stewarts Join the Dixie Art Colony Foundation at the home of the nephew of DAC artist Arthur Walter Stewart for a retrospective of his works. This event will take place at the home of Rusty and Carol Stewart, 2641 Crest Rd. in Birmingham at 6 p.m. Guests will have the opportunity to view a slideshow of rare vintage photographs of Arthur and examples of his artwork. April 25 AWF Tri-County Wild Game Cook-Off Alabama Wildlife Federation will host its annual TriCounty Wild Game Cook-Off at its headquarters, 3050 Lanark Rd. in Millbrook. The event will start at 6 p.m. for the public, and admission is $50 for two adults. Tickets include free tastings, live music and a silent auction. Get tickets at the gate, online at alabamawildlife.org or at Millbrook Chamber of Commerce, Prattville Chamber of Commerce or Powersports of Montgomery. Additional information can be found at alabamawildlife.org. receive prizes. Go to the Roaring 5K event page on Facebook for more information or to sign up. Held at Gold Star Park, this workshop will be taught by Sylacauga’s famous plein air painter and teacher, Perry Austin, from 9 a.m. to 5 p.m. each day. April 25-28; May 2-5 Independence Day at Happy Meadows This hilarious play will be performed by the Millbrook Community Players at the Millbrook Community Theater, 5720 Main St. Four elderly ladies plot their break-out from the nursing home where they live. They’re tired of the rules, regulations and the mean owner. Tickets are $12 in advance; $14 at the door; and $8 for children 12 years old and younger. For more information, visit millbrooktheater.com. April 25-May 11 Bright Star: The New Musical The Wetumpka Depot will host this award-winning musical with styles of bluegrass, country and Americana all rolled into one. The story is appropriate for the whole family. Tickets and information are available online at WetumpkaDepot. com or by calling 334-868-1440. April 26-28 In-Water Russell Marine Boat Show Check out the hottest new 2019 boats and demo the new Sea-Doo models at Russell Marine’s annual in-water boat show. Russell Marina will have more than 70 boats in the water and 70 more on land for lake-goers to explore. The pro shop will be stocked with everything needed for a fun day in the sun. Register to win great prizes. Enjoy live music, food and more. Visit russellmarine.net/events for details. April 27 Tulotoma Art Trail The Kelly Fitzpatrick Memorial Gallery and Main Street Wetumpka team up to present this official Tulotoma Snail Trail art walk through downtown for the second year. There will be exhibits and demonstrations from 11 a.m. to 6 p.m. There will be live music in the alleyway, along with a steampunk art competition reveal at 4 p.m. in Merchants Alley. Event is free to the public, and local shops will host open houses, along with the participating artists. If interested in participating, email thekelly36092@gmail.com. The Drug Enforcement Agency will host a drug take back day at Jones Drugs, 4117 state Route 14 in Millbrook. They will collect any unused or expired prescriptions to be disposed of properly. It is important to never flush or throw away these drugs. Getting them out of your home will lower the risk of potential break-ins and chances of being found by children. Stop by between 10 a.m. and 2 p.m. For more information, contact 334-523-8921. April 27 Wetumpka Pride Earth Day The City of Wetumpka will host an Earth Day celebration from 9 a.m. to 11 a.m. at the Wetumpka Recycle Center, 205 E. Charles Ave. There will be free compost, plant swap, free plant care advice, and the first 50 people will receive T-shirts. The recycling center will be open for drop-offs. For more information, contact 334-567-5147. April 27 French and Indian War Encampment Fort Toulouse-Fort Jackson Park will host its French and Indian War Encampment from 9 a.m. to 4 p.m. There will be living history demonstrations of military, Indian and civilian life with re-enactors dressed and equipped as if it were the 18th century. The park is located at 2521 W. Fort Toulouse Rd. in Wetumpka. April 27 Renew Our Rivers Lake Jordan Hosted by Lake Jordan HOBO, this cleanup day will begin at Bonner’s Landing boat ramp on Lake Jordan, and all collected debris should be returned there. Volunteers will receive free T-shirts and lunch. For more information, contact Brenda Basnight at 334-478-3388. May 1 Hydrangea Festival The Alabama Wildlife Federation will host its annual Hydrangea Fest from 9 a.m. to 1 p.m. to educate about the unique history of hydrangeas. Maria Pacheco-West, Lanark grounds specialist, will present a Hydrangea talk at 10 a.m. followed by a tour of the Heirloom Garden and around the pond. Bring hydrangea gardening questions for expert advice. Lanark Gardens also will have a plant sale on site, and the proceeds will benefit the AWF gardens. General admission applies and is $5 per person, with a $20 maximum per family. For more information, visit alabamawildlife.org. The Alabama Student Angler for Bass Fishing Association will host a two-day tournament on Lake Jordan. Weigh-in will be at Mill Creek Sports Complex. Hosted by the Wetumpka Chamber of Commerce, this is the largest outdoor community expo in Wetumpka for vendors around the area to display their services and products. Starting at 9 a.m., businesses will be set up throughout downtown, including East Bridge, Court, Hill and Company streets. Business, arts-and-craft and food vendors are all accepted. For a 10-foot by 10-foot space, the cost is $75 for chamber members. Vendors must bring their own tents, tables and chairs. There also will be music, a car show and other entertainment until 1 p.m. For more information, visit wetumpkachamber.com. May 3-4 Wetumpka FFA Alumni Championship Rodeo The Wetumpka FFA alumni will host its second annual rodeo at the Wetumpka Sports Complex, located at 2350 Coosa River Pkwy. Gates open at 6:30 p.m. each day, and events start at 8 p.m. The FFA strives to stregnthen agricultural education with this familyfriendly weekend. Admission is $10 and proceeds are put back into programs for Elmore County FFA students. TJ WilTJ Williams will be this liams will be this year’s rodeo year's rodeo clown clown. There will be a range of events, including a junior riding event. Food vendors and other activities will be on site. For information, email wetumpkaffaalumni@gmail.com. May 4 Derby Day with the Naturalist This year’s Derby Day will get the kids active with a very gentle live horse. Children will learn about safety around horses, brushes and supplies. Bring apples, carrots or sugary treats for the horse. This free activity will take place at the Naturalist Cabin from 10 a.m to 2 p.m. Call Naturalist Marianne Hudson at 256-496-2710 for details. May 4 Derby Day at The Stables Gather at The Stables at Russell Crossroads from 4 p.m. to 6:30 p.m. to watch the Run for the Roses and help support the work of Children’s Harbor at this annual celebration. This free event includes snacks, drinks, a hat contest for the ladies and a most-dapper contest for the gentlemen. For more information, call 256-397-1019. May 4 Walmart Supply Drive for Humane Society The Humane Society of Elmore County will host a supply drive at Wetumpka’s Walmart, located at 4538 U.S. Highway 231, from 10 a.m. to 2 p.m.
May 4 County Line Cemetery Cleanup The County Line Cemetery Association will host its annual family gathering, business meeting and scheduled workday to maintain the cemetery grounds at 10 a.m. Bring chairs, food and drinks to share during mid-day meal. Appropriate clothing and insect repellent are recommended. Bring tools of your choice to help to the best of your abilities. The cemetery is located on Windermere Road, about 2 miles north of Kowaliga Bridge. For more information, contact Neal Taylor at 334-869-0585. May 4 Master Gardeners Plant Sale Central Alabama Master Gardeners Association will host its annual plant sale from 8 a.m. to 12 p.m. at Trinity Episcopal Church, located at 5375 U.S. Highway 231 in Wetumpka. This is the organization’s largest fundraiser of the year and raises money to support its programs. For more information, contact Sandy Rosamond at 334-652-4552. May 11 Southern Gospel’s Alabama Homecoming Four premier gospel artists, Holy Destiny, Wilburn & Wilburn, Mark Lanier and Bob Sellers, will perform at Mt. Vernon Theatre at 7 p.m. Tickets are $20 in advance and $25 at the door. For tickets, visit mtvernontheatre.net. May 11 Cops and Kids Day Millbrook Area Chamber of Commerce and the Millbrook Police Department will host this annual event at the Village Green Park from 9 a.m. to 2 p.m. This event is free and will include food, games, bounce houses, T-shirts and more. Demonstrations by the Millbrook PD will include police dog presentations. There will be department cars on display, along with fire trucks. Important information on how to prepare for emergency situations will be available. May 16 Bingo Night Kent Community Center will host bingo night for $8, which includes eight cards. All money raised will go toward the building fund. For more information, contact Pat Colvard at 334-558-7155. May 17 Main Street Wetumpka’s Third Annual Wine Pull As it’s primary annual fundraiser, Main Street Wetumpka will host its annual wine pull at Wind Creek Hotel and Casino’s Penthouse Suite at 6 p.m. This event will offer an evening of stunning views, along with food and wine pairings from the award-winning Fire Steakhouse. Each pair of attendees will pull a bottle of wine and walk away with two signature wine glasses. Limited tickets are available for this event. For more information or to purchase a ticket, visit mainstreetwetumpka.org. May 18 Plants and Pollinators Festival Alabama Wildlife Federation will host its annual festival day to draw attention to the growing importance of pollinator conservation, both in Alabama and worldwide. Attendees will enjoy honey-extraction demonstrations at the apiary; plant and gardening presentations; specialty vendors; the annual Lanark plant sale and more. Custom collected and bottled Lanark honey will be for sale. General admission applies and is $5 per person, with a $20 maximum per family. May 18 Sparking the Arts Hosted by the Elmore County Art Guild, this annual student art show reception will be held at the Wetumpka High School from 2 p.m. to 4 p.m. and will feature selected artwork from public and private Elmore County school students. The event is open to the public, and light refreshments will be served. For more information, contact Shirley Esco at 334-399-5115.
sion is free, and there will be all types of antique equipment and tractor games. For information, contact Tony Martin at 334-285-3810 or Cliff Hornady at 205-586-5930. Season-Long Events Haunted Wetumpka Investigations In-depth paranormal investigations will take place in the Wetumpka Area Chamber of Commerce building from 7 p.m. to midnight on the second Saturday of each month. Cost is $50 per person, and reservations are required. Call 334-567-4811 or email jyoung@wetumpkachamber.org for information and registration. Country Music Jam Every Friday from 6:30 p.m. to 8:30 p.m., the Red Hill Community Center hosts an open-stage country music jam. All players, singers and listeners are welcome. Coffee and snacks are provided at this family-friendly event. No admission is charged, but donations are welcome. The community center is located at the Old Red Hill School on state Route 229, south of Kowaliga. For information, email Paula Castleberry at mcasby53@windstream.net. Alabama Wildlife Federation Naturalist Hikes Every Tuesday from 3:30 p.m. to 4:30 p.m., hike some of Lanark’s 5 miles of trails with an experienced ANC naturalist by your side. Learn how to bird or ID plants and animals; splash through the creek; or catch insects in the meadow. General admission applies and is $5 per person, with a $20 maximum per family. AWF is located at 3050 Lanark Rd. in Millbrook. Visit alabamawildlife.org for information. Eclectic Trade Days The second Saturday of each month, the City of Ecelctic will host trade days from 8 s.m. to 1 p.m. featuring local vendors at 145 Main St., next to Town Hall. A booth costs $10 to set up. For information, contact Carmen Winslett at 334-201-0092. Millbrook Farmers Market The City of Millbrook will host its 10th Annual Farmers Market at the Village Green every Tuesday until Aug. 13 from 8 a.m. to 12 p.m.
To have your upcoming event featured in Elmore County Living’s ‘Coming Up!’ pages, email information to editor@lakemartinmagazine.com by the first of the month. Don't see your ad in this issue of Elmore County Living? Neither did the thousands of potential customers who read our magazine monthly. We’re Your Premier Honda Dealer! ces and make sure you are ready to go boating come early spring. mier Honda Dealer! Technicians with allYour Honda Premier SALESPremier • SERVICE • VALET SERVICE We’re Honda• STORAGE Dealer! We’re Your Honda Dealer! ms, at Both Locations These areas ofThese your boat will need beforewill making it ready for the summer months. Right now, our service areas of attention your boat need attention before making it ready fordepartment the summer months. Right now, our service department has the time and stock toand perform theseinneeded and make these sure youneeded are ready to go boatingand comemake early spring. hasparts thein time parts stockservices to perform services sure you are ready to go boating come early spring. SOUTHERN DELIGHTS Mary Katherine Moore is an Alabama State Fair pepper jelly champion, has butchered a wild hog in her kitchen and grows heirloom tomatoes in her backyard. whites from yolks, making absolutely sure there are no yolks in the whites. A smidge of yolk in the whites won’t beat up. It helps to do each egg over a separate bowl; and then, add the white to the main mixing bowl. That way if you mash a yolk, it doesn’t contaminate all the other whites. Trust me on this: I speak from experience. Add one pinch of salt into the mixing bowl with the whites. Start mixing on low speed until the eggs start looking foamy; then, turn the mixer up to medium-high. In about one minute, you will see the eggs get firmer; then – and only then – start adding sugar. Add one cup of sugar very, very slowly, one spoonful at a time, letting that sugar dissolve before adding more. You don’t want to deflate the eggs with a bunch of sugar. And you sure do not want the sugar to make the merengue grainy. After all the sugar is in, beat until the eggs are firm and glossy; then stop. Add one teaspoon of cornstarch and one teaspoon of white vinegar (or lemon juice). This sounds weird, but the acids will keep the merengue crisp on the outside and soft in the middle. You won’t taste it. Add it to the eggs, and mix on low for 30 seconds. Now the fun part, and there are lots of things you can do here. Pile all the mixture in the circle, spreading to the edges, and make a dent in the middle for filling. Or you can get fancy and pipe the circle with a tip. Or you can put the eggs in a Ziploc and cut off the corner for a cheater-piping bag. You can make small individual meringue cups. Whatever you do, do it quickly. Pop the merengue in the oven for one hour; then, turn off the oven and let it completely cool. Do not even think about opening the oven. This is the part that makes merengue work in Alabama’s humidity. For a Sunday treat, get the merengue in the oven for the hour bake time, and turn it off while you are at church. When you get home, it will be ready to fill for dessert. So on to the fillings. I’m going with straight up strawberries and sugar, just like shortcake strawberries. I put a layer of whipped cream on the merengue and top with strawberries. It’s so much better than those weird spongy cups that come from a package. You can also use fresh fruit or ice cream and chocolate sauce. Banana pudding merengue sounds divine. Get to whipping! Join one of the nation’s largest river cleanup initiatives. Over the span of 20 years, Alabama Power’s Renew Our Rivers has grown into one of the nation’s largest river cleanup initiatives, removing over 15 million pounds of trash and debris from Alabama’s waterways. Alabama Power is committed to protecting our river ecosystems for generations to come and invites you to join us in carrying out that mission.